Valuing Cultural Heritage and Distinctive Appreciations of the Past: A New Cultural Colonialism? I would like to start with just a word to underline the importance of the sessions on cultural management and problems of heritage as now a permanent player in these meetings, which started mostly focusing on “technologies” related to heritage. By discussing more “humanistic” issues we are contributing to the enhancement of the field of Cultural Heritage Management (CHM), a working strategy that needs to consider a wide array of issues in the planning and implementation process of museum, monument or site management: it is usually of a larger scale and more complex. These issues are not limited to the “technological” aspects of a monument, site or region but relate to issues that embody heritage in its social context. 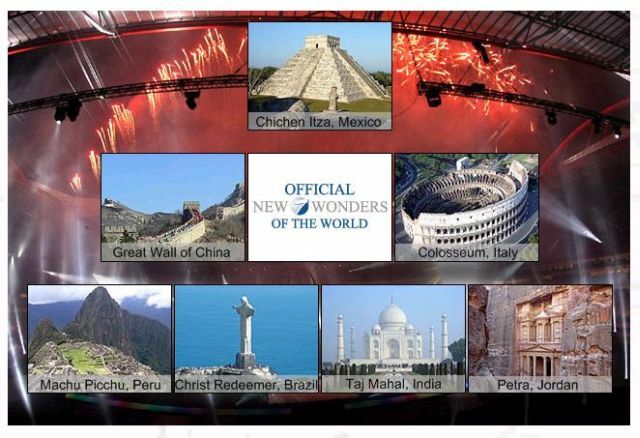 Earlier this year the internet public voted for the new Seven Wonders of the World (1). It was more of a curiosity example in mass media as there was no consideration of conservation, maintenance or risk factors of each of the candidates: one is sliding down the hill; another is blackened with smog; all of them are fragile and threatened monuments. The vote was not backed by any cultural organization. The process showed the breath of today’s interconnected world and the influence of an internet-based public. In this process voters greatly favored monuments close to them – and voting reflected degree of immersion of some countries into the internet world; the weight of numbers did prevail. For instance, Rio de Janeiro’s Corcovado Christ was voted in while Athens’ Parthenon did not make the list even though the restoration has been of high standards. The point of the example is that heritage is misunderstood, overexploited but a very popular source of entertainment, if, of course, local or world populations identify with them. 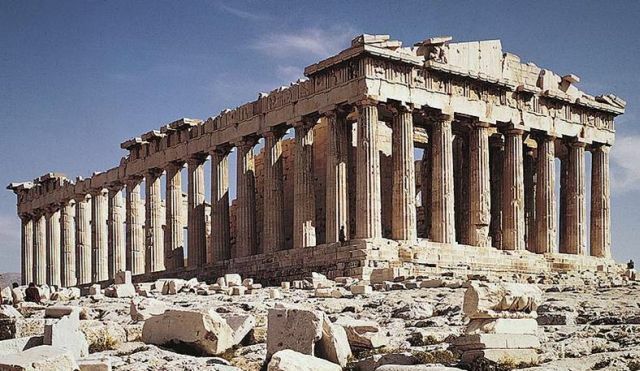 It was not the first miss for the Parthenon (2). It did not make the first list compiled by Antipater of Sidon in the 2ndC BC for a travel book. The Temple of Artemis in Ephesos was far more imposing. Coincidentally, artifacts from that very temple are displayed today across the Ring in the Hofburg Palace (3). Austrian archaeologists have established a long-standing research at the site since the region was part of the Ottoman Empire and settled by Greeks and lasting till today’s Turkey, now vacant of its pre-First World War populations. However, the presence of Greek populations here in Turkey or in the Mainland did not prevent the movement of artifacts and buildings to European museums. Under Ottoman rule the removal and export of remains from these territories was a relatively easy affair. 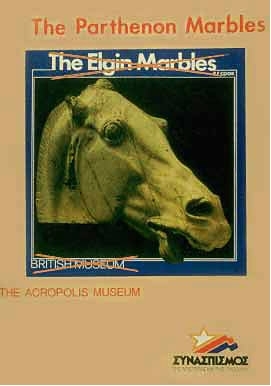 These issues still incite controversy, as the claim of the Turkish government for the Greek temple of Pergamon (4), or the claim of the Greece and Greek Government for the Elgin Marbles (5). In this case, in Ottoman times Classical Greek heritage had a lower status amidst a land that was overwhelmingly Muslim and that has seen eventful episodes for Ionian Greek populations and Turkish society. The point of this example relates, on one hand, to the lower “status” of heritage resources in certain historical periods and certain lands, and on the other, the importance of the resources for research and preservation to the benefit, or detriment, of certain sites. 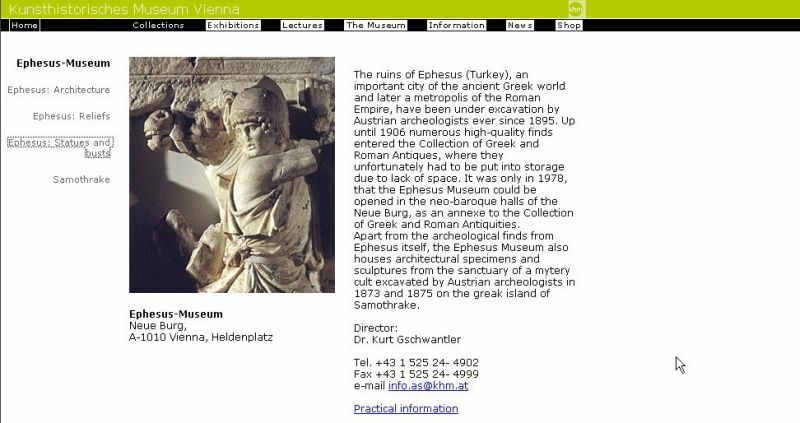 In this vein, in the case of Ephesus, the interest of Austrian archaeologists has in some way disfavored the site, owing, of course, to 19th century practices. But the history of foreign archaeological missions is changing with a strong component of preservation in situ and not in metropolitan museums, as exporting heritage out of the country is no longer possible. Are we seeing new international cooperation concepts for the preservation of certain cases of cultural heritage? We will see the case of Libya and Italian archaeology. The concept of value and importance of cultural heritage is indeed very relative as one considers the societies that hold them in trust, that promote them and that preserve them at different levels of quality standards. The topic of this paper is thus the phenomenon of heritage resources that find themselves, as consequence of shifts in borders, invasions, or population displacement, disconnected to present historical or religious conditions of a country. In these cases, the degree of conservation of the resources varies broadly as a consequence of the distinct interest in the monuments. This heritage pertains to a distanced past and is not considered part of the general culture as they do not fit in the population’s identity perceptions. I argue here that a good degree of conservation of many resources of this special set of monuments and their close supervision has depended and will depend on international, foreign interest. Clearly, foreign interest, moving with the times, is now focused on research rather that exporting antiquities (that task is left for the traffickers), on preservation, on developing site museums, and more recently in creating programs of CHM. Thankfully, many papers in the meetings have discussed programs of this type, of international cooperation aimed at expanding the value of heritage, including the historically “unrelated” monuments. The historically “unrelated” heritage is backed by the legal, and ultimately “moral”, pursuits by international organizations. UNESCO, for instance, provides increasingly more inclusive and detailed laws in an interesting sequence since 1970 that has recently included immaterial heritage (something that could favor minorities). Earlier, in the 20th century in post 2nd World War, UNESCO sponsored the convention of The Hague, an attempt to protect historical heritage in times of war. But it is clear from the recent atrocities in the 90s that heritage becomes an important target in conflicts, part of the demoralization process between parties, even becoming bargaining chips in processes of reconciliation, when the reconstruction of destroyed monuments have a political importance as well as a historical one. However, in times of peace heritage that does not relate to the local history, and perhaps, for worst, is outside tourism circuits, will often be overlooked until foreign interest reaches local authorities, in the form of financing and with also intentions of jumpstarting “reconciliation” through “heritage” reconstruction. Certainly, UNESCO through its World Heritage Center agency will give some periodic advice in the form of non-binding observations to governments, mostly those related to monuments inscribed in the World Heritage List. At most some monuments will be put in an “endangered” list; hardly any monument will be removed from the list due to their poor state of conservation. Indeed, in the face of inactivity of some governments to manage their monuments there are more dynamic programs that could improve certain lethargy shown by other organizations. The main point for us who view cultural heritage as assets to be preserved for the benefit of local societies as for the broader public (according to the concept of monuments as heritage of humanity) is to think how those resources will be preserved in case they create little interest within the society and land amidst where they lie. European funds for heritage have been crucial for the reconstruction of monuments around Europe, some in very special circumstances like post-war areas. This quite strong “European spirit” in the promotion and preservation of heritage in the countries of the Union, often supersedes the lack of interest of national countries or regional governments. It is thanks to that “spirit” that available funds allow the preservation of monuments in multicultural cities often with little multiethnic populations. 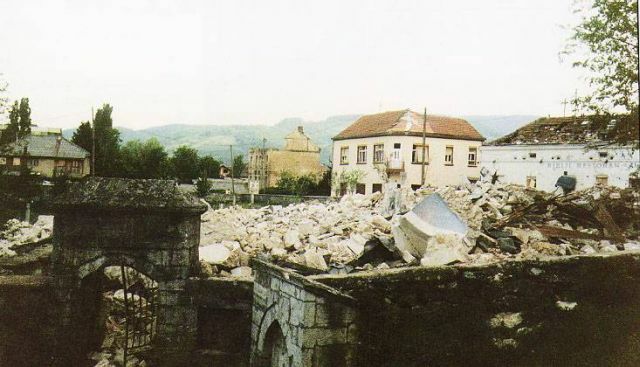 A case in point, relating to the situation of Classical Greek heritage and Ottoman heritage in Turkey and Greece that I mentioned earlier, is the Suleiman mosque in the city of Rhodes which was ruined for decades. 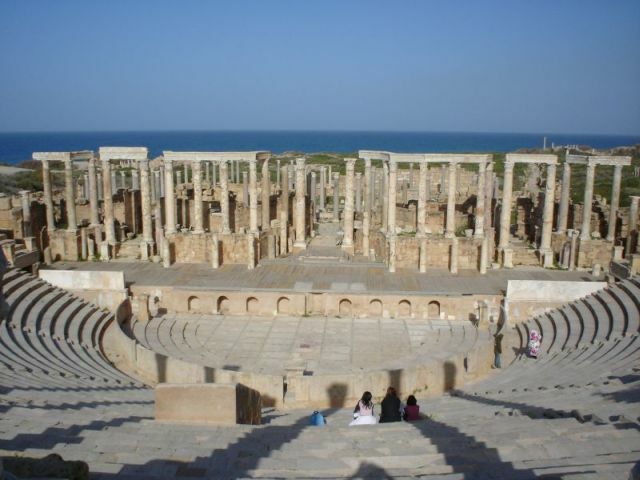 My second example is the Roman site at Leptis Magna in Libya (7). I am interested on how the research and preservation of the site has been the concern of foreign missions, especially Italian, during colonial, post 2nd WW, as well as in independence times. It is relevant to pinpoint the sources of financing for the preservation of such a rich heritage. However, the reasons for enthusiastically carrying out large scale research and restoration are more important. As such, during Colonial times the reconstruction of the site was part of the larger building plan, or as far as the rulers in Rome thought, re-building the empire and its then limited holdings. This trend, known as the ideology of Romanità, also benefited Rhodes with the reconstruction and fitting with rich Roman mosaics of the Palace of the Knights of Rhodes. Massimiliano Munzi has recently written that the methodologies of excavation and restoration of these enterprises show “evidence for hurried, non-stratigraphic excavations subordinated to political ideologies, a tax that contemporary Italian archaeology must now have the courage to pay”. Nonetheless, Italian missions still dominate the site of Leptis, certainly having changed the mission objectives pursued by archaeologists of the Fascist era. The magnitude and techniques of the “recreation” of the site have toned down and changed techniques, but a strong interest remains in the research. Indeed, research at the site includes other teams making about four projects at the site. These are unconnected endeavors at the site, all working without the absence of an integral CHM project that could make, at least from the Libyan point of view, for more productive research and better organization for the management of the country’s heritage. While the Libyan government seems unenthusiastic about the issue, it is a problem that organizations like UNESCO seem reticent to upgrade their technical advice, to limit themselves to the material aspects of heritage, and not explore its social aspects. This problem might be less problematic for Leptis since it lies in the desert, but in other important sites will lie in very threatening environments. The cooperation into Libya’s heritage then is perhaps not as refined as it could be, even though the research is crucial for Roman archeology and for the low profile tourism that occurs in Libya. (7) Leptis Magna and the anastylosis restoration of the 1930s. Parallel to this situation in Libya, Italy has had strong progress in the complex arena of cultural heritage let me mention two things: their success at having illegally exported artifacts returned to the country, on one had, and more importantly, the very complex CHM project devised for the town of Sipan in Peru, where the task is as much related to social issues as to heritage and archaeology issues. Perhaps the title of this paper using the word “colonialism” is a bit harsh although I did not meant to be derogatory about it. Clearly in some cases like Libya, the tepid interest of the local governments into the Roman heritage issues, do create a situation that mimics a colonialist relationship, although we might better be a bit more imaginative and think of the archaeological and heritage site as a living entity with which a cooperation partnership is established with equal profits for both parts. Nevertheless, cooperation as we know it today is often the only source of survival for a heritage resource. Is the uneven care of part of a country’s heritage a common problem? We cannot really say. 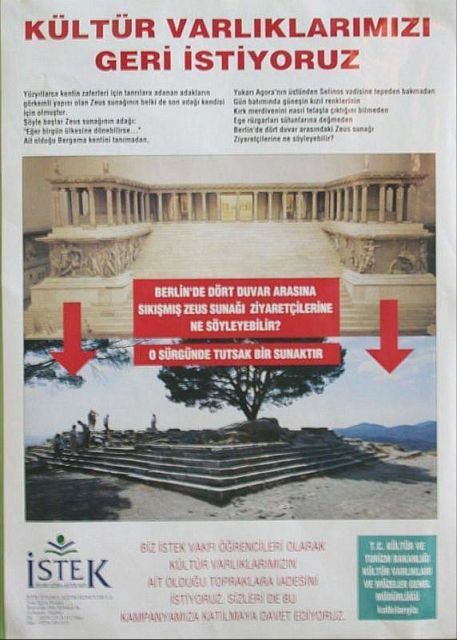 There is little data in the like of surveys that would rank, say, the degree of management of archaeological sites, or, for example, analysis of budgets devoted to heritage and perhaps compare the resources destined to “Anatolian” or Ottoman monuments vs. Classic monuments in Turkey, or Muslim vs. Roman in Libya. Perhaps, for starters, money can allow us to measure risk and priorities in research and conservation, but, again, it is the analysis of social and historical issues, where sites are seen as organic entities, that we may achieve a good understanding of the health and importance given to heritage in each country.